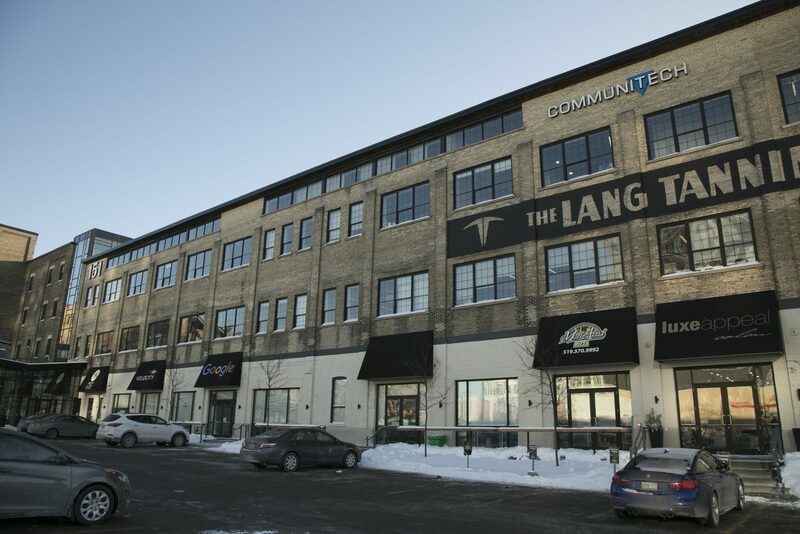 This January, three students from Wilfrid Laurier University have qualified for the chance to win $5,000 through Communitech’s Design to Win Challenge. Local non-profit, Communitech, offers two competitions which are open to all Canadian, post-secondary students. The Code to Win Challenge and the Design to Win Challenge. The final round of the competition takes place from Jan. 19 to Jan. 20, 2018 in Kitchener and Waterloo. “The coding challenge is a challenge geared towards engineering students, computer science students [and] essentially anyone who has coding skills. They have two hours to write the challenge,” Melissa Roth, campus engagement coordinator for Communitech, said. The code challenge is written with HackerRanks system, which understands 30 different programming languages. The Design to Win Challenge is unique due to the fact that it is handwritten on paper instead of on a computer. “The design challenge is a product and design challenge where they have two hours to design whatever the challenge is. This past fall we did a design challenge around building an app for our community centre for allowing people to book programs and services” Roth said. This year, Daniel Moll and Irene Chong, students at Laurier’s Waterloo campus, and Joel Schellenberger, a student at Laurier’s Brantford campus, have qualified for the final round of the Design to Win Challenge. There are two rounds of competition for each challenge, starting with a preliminary round open to all students, which occurred in September and October of 2017. This year, 927 students participated in the preliminary stages. 691 entered the Code to Win Challenge, 236 entered the Design to Win Challenge. 25 different schools throughout Canada had students participate, seven of which were from outside of Ontario. “For the coding challenge 50 students from all of the students that participate are qualified for the finals, then for the design challenge 25 students qualify,” Roth said. For both challenges, first place winners receive $5,000, second place winners receive $1,000. “The competition is open to students in their undergrad, doing their masters or Ph.D level and we do see a really big range of students who qualify for the finals,” Roth said. “[The winners] get to go on some tours of our different offices, they get to interview with different companies for post-graduate positions, co-op positions, internships, different stuff like that,” Roth said. Roth explains the benefits of participating in these competitions, besides the cash reward. “It’s also a really cool challenge because it’s coding under a time constraint. Which a lot of students don’t normally practice,” Roth said. Roth also explained that the competition is a good chance for students to interact with like-minded peers. Many companies expect programmers to do a hands-on, technical interview, Roth explained. By learning to write code with a time limit, students can benefit in situations where they must display their computer skills quickly. “I would say that … one of the coolest things that the students really enjoy is getting to meet the company. It really opens their eyes to what kinds of experiences they could have in terms of working a co-op position, or as a post-graduate as well,” Roth said.